CITY OF SAN FERNANDO, Pampanga — A Department of Health (DOH) epidemiologist said Friday measles cases in Central Luzon spiked significantly as 96 percent of the affected children in the region were unvaccinated. “More children suffered the disease because their parents refused to bring them to health centers to avail of free vaccines,” Dr. Jesse Fantone, head of DOH’s Regional Epidemiology and Surveillance Unit (RESU) told the Philippine News Agency (PNA) in a telephone interview. Data from the DOH-RESU showed a total of 437 cases and six deaths reported in Central Luzon from January 1 to February 7 this year, compared to only 32 cases with no death during the same period last year. Of the seven provinces in Central Luzon, Bulacan has the highest number of measles cases with 144, followed by Pampanga with 136; Tarlac with 89; Bataan with 27; Zambales with 23; and Nueva Ecija with 18. The province of Aurora had no measles case. Of the six deaths, three were from Pampanga and one each in Bulacan, Bataan, and Zambales. 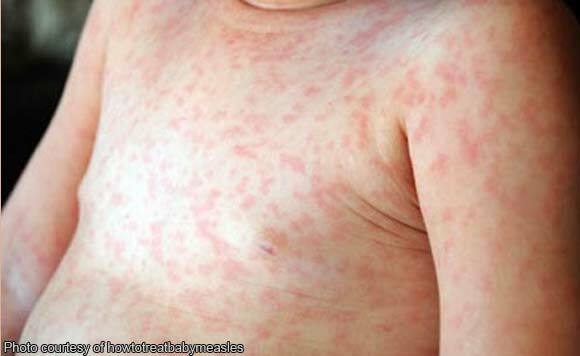 Regional health officials declared a measles outbreak in Central Luzon on Thursday. Fantone said the Dengvaxia scare is a minor reason why parents have failed to participate in the immunization program. “Some of the parents reasoned out that they were busy and (that they live) far from the health centers. Thus, we have been doing a house-to-house immunization campaign,” he said. The health official said that the DOH has been conducting an outbreak response immunization in areas in the region where clustering of measles cases were reported since April last year. He said this is aside from the measles routine immunization being conducted every Wednesday in all health centers of the region. “Thus, I am appealing to parents to have their children vaccinated against this infectious disease,” Fantone said as he assured that the DOH regional office has a sufficient supply of vaccines that could be availed of for free. Likewise, he asked the local government officials and other stakeholders to help them in this campaign. “This measles outbreak can be controlled. Let us stand to protect our children. Please help us inform the public that measles can be prevented through vaccination,” he added. Babies from six to eight months old are immunized with the measles and rubella vaccine, while children nine months to four years old are given the measles, mumps and rubella vaccine. Measles is a highly infectious and communicable disease caused by a virus. Symptoms include high fever, cough, conjunctivitis and colds.